This morning my husband read something to me from our local newspaper. It was in regard to reading books on tablets and how many distractions there are that might pull one’s attention away from the book; email, Twitter and Facebook to name a few. The writer, seemingly proudly, said that these distractions made her a “more discerning” reader and that many more books ended up in her BNF (books not finished) category. As I said the writer seemed to believe that this was a GOOD thing. This brings me back to the main theme of this post. We cannot expect to get all the information we need to make important decisions in “four minutes or less.” We need to seek more information, but, even more importantly, we need to seek insight into the sources of our information and the “facts” presented therein. “From each according to his ability, to each according to his need” sounds good on the first reading, but if you seek insight into what this actually means in the real world you might have a different opinion. So I am reminding We the People that it is time to vet our presidential candidates and that includes Barack Obama. I would urge you to find out the truth and decide for yourself which world view you will be voting for with full knowledge of what that world view means when it is put into practice. Breitbart.com has just posted the first of many articles that Andrew promised prior to his untimely death. It will take you time to read. It will take you time to research issues you want to confirm for yourself. It will be time well spent. 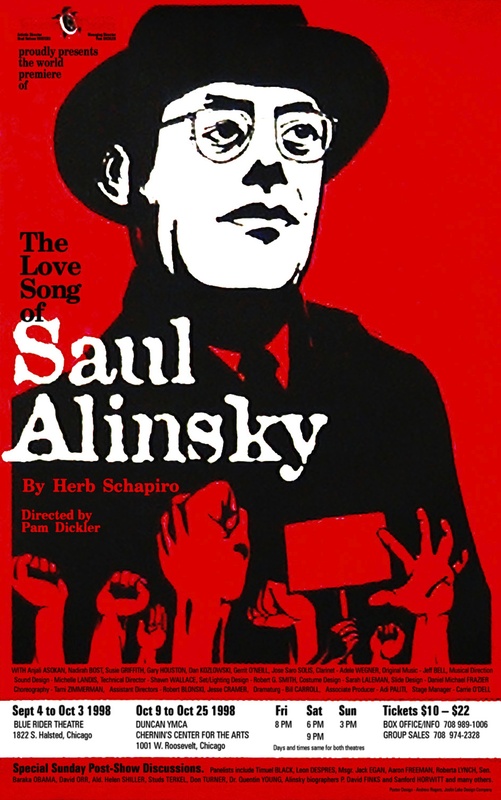 The Vetting, Part I: Barack’s Love Song to Alinsky is something you should read. If you do not know who Saul Alinsky is, find out. I’ve mentioned him in many of my posts. Get Rules for Radicals out of the library and read it….read ALL of it. Find out who Bill Ayers and Bernadine Dohrn are. Find out their history with the Weather Underground. Reading the whole story is sometimes difficult and it takes time, but if you add this to your BNF list you won’t know what you are missing. You won’t realize what you are voting for until it is too late. This entry was posted in 2012 Election, Collectivist Narrative, Islamic/Socialist/Communist Revolutionaries, Media Bias, Restoration of our Constitutional Republic, Social Justice, World View and tagged 2012 Election, Andrew Breitbart, Barack Obama, Bernadine Dohrn, Bill Ayers, Saul Alinsky. Bookmark the permalink.